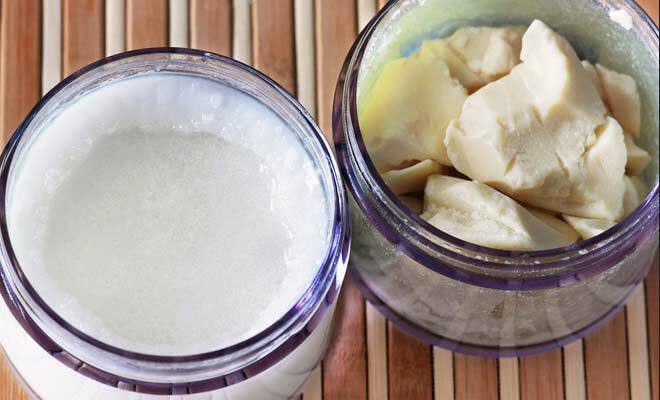 How to Make your Own Natural Moisturizer this Winter? During the winter time keeping your skin moisturized is something that you should not take lightly. The dry air in combination with the bitterly cold air is a recipe for disaster when it comes to your skin. If your skin dries out it can become flaky, peel, and it can also cause wrinkles and fine lines to deepen. Many people worry about using products on their face daily that contain harmful additives such as preservatives, dyes, synthetic fragrances, parabens, and other harsh chemicals. One way to make sure that you know exactly what is going into your product and onto your skin is to make the product yourself. 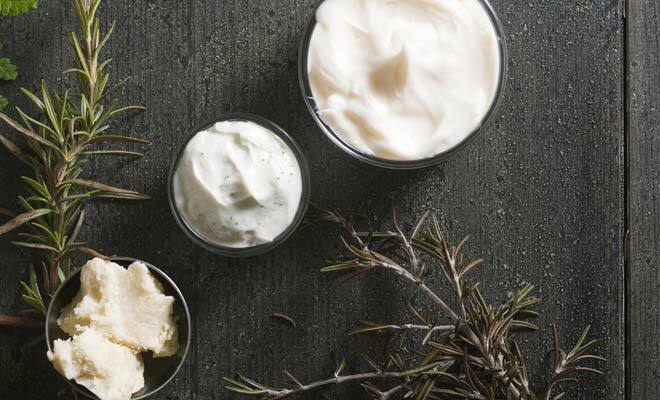 This may sound daunting if you’ve never attempted to make your own skin care products. However we are giving you the steps that you need to take to make your own moisturizer. The steps are easy to follow and the ingredients are ones that you can find anywhere for an affordable price. How to make it: To make this oil combine you coconut oil, your drops of tea tree oil, and the inside of one vitamin E capsule into a small bowl. Stir it, transfer it to another container with a lid, and store it somewhere cool. This moisturizer is great for those who have acne prone skin but want an effective, natural moisturizer for the winter. The idea that people with acne prone skin don’t have to moisturize their skin is false. If your skin is dried out it will cause your oil producing glands to go into high gear and produce even more oil. This moisturizer will balance out your skin while catering to the needs of your acne prone skin. Coconut oil is a great moisturizer for the face. This natural oil is very luxurious and it also has antimicrobial properties so it will provide your skin with moisturizer and natural cleanse it and eliminate bacteria. Tea tree oil is another natural remedy for acne. Many people use it as a spot treatment but when added to this moisturizer that you will use in the morning and at night it will deliver an acne fighting agent to your skin twice a day. The vitamin E oil is the finishing touch on this moisturizer. Vitamin E has antioxidant properties and provides protection that blocks free radicals from the body. How to make it: Combine your shea butter, jojoba oil, and lemon juice in a small bowl and stir until they are completely combined and the mixture is smooth. Transfer your moisturizer to a container with a lid and store someplace cool. This moisturizer is great for those who have dry skin. During the winter you will find that your skin will be especially dry and it will crave even more moisture than it normally does. This doesn’t mean that you have to pile on heaps of thick moisturizer; you just have to reach for the right ingredients that will provide you with a deep level of moisture that lasts throughout the day. Shea butter is a powerful ingredient for those who have dry skin. Not only does it provide lasting moisture but it also has healing properties that are great for people who have noticed that their skin becomes desiccated and cracked during the winter. The jojoba oil is also another powerful moisturizer and it is an oil that is very close to the natural oil that your skin produces. The lemon juice will leave your skin brighter and more even as the acid in lemon juice helps to rid the skin of dead skin cells. How to make it: combine your cocoa butter and olive oil in a small bowl and stir until smooth. Put your moisturizer to a container with a lid and store someplace cool. This is a great moisturizer for dry skin and it is also great for those who want to even out their skin tone. If you have acne scars or hyper-pigmentation cocoa butter will be a great ingredient for your skin. Cocoa butter is a natural ingredient that helps to provide a uniform skin tone. It also has wonderful restorative properties and is a source of antioxidants which helps to protect the skin from damage. The olive oil in this moisturizer fortifies it with even more moisture as well as other benefits for the skin. Studies have shown that olive oil may protect the skin against the sun damage. Olive oil is also packed with antioxidants. If you want a great natural moisturizer you don’t have to go any further than your kitchen cabinet. You probably have most of these ingredients, and if you don’t you can find them easily in a trip to the grocery store!